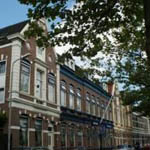 The Best Western Museumhotels Delft is situated in 3 different monumental buildings in the heart of the old city centre. All 3 areas of the hotel are uniquely decorated with antiques and art works. 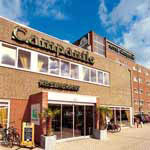 Campanile Hotel Delft offers excellent facilities at an attractive rate, and has a convenient location. 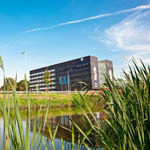 The WestCord Hotel Delft is situated next to the A13 motorway, conveniently located between the city centre and Delftse Hout. This hotel is situated in an 18th-century building, opposite Delft Railway Station, and features Delft Blue pottery details. This unique hotel features Chinese-style d‚cor, free Wi-Fi and an elegant bar. 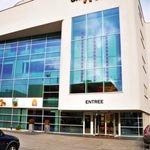 Shanghai Hotel is located next to the E19 motorway, only a 10-minute drive from Delft city centre. Hampshire Hotel ? 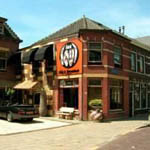 Delft Centre is located on the edge of the Delft’s centre, at walking distance from all major tourist attractions. The waterfront terrace is a nice place to relax. The Ark is a 4-star hotel, occupying 4 fully-restored 17th-century houses on the most beautiful canal in the old centre of Delft. There are 3 people looking at this hotel. 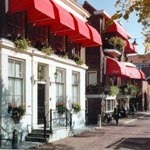 Bridges House Hotel is a small but luxurious hotel in the centre of Delft. 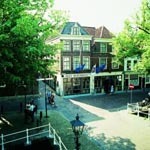 Stay in this former canal house of the Dutch painter Jan Steen and have shops and museums next door. 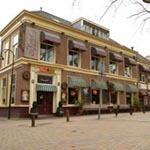 Located on the central Beestenmarkt, Hotel de Koophandel is surrounded by caf‚s and restaurants in the heart of Delft. There is 1 person looking at this hotel. Hotel De Plataan is a unique 3-star hotel, situated in the historic centre of Delft, only 450 metres from the main market square. The hotel offers free parking and internet. 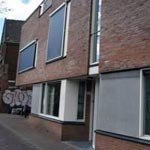 Jorplace City Hostel offers basic dormitory accommodation in the middle Delft?s historic city centre, around the corner from the Market Square. There is 1 person looking at this hotel. 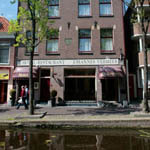 Hotel Johannes Vermeer is a characteristic hotel situated in an old cigar factory in the city centre of Delft. Start your day with a great breakfast and sleep in spacious rooms. 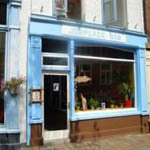 Travel back to the ’70s and stay in one of the colourful theme rooms of this B&B, where you?ll benefit from free Wi-Fi and free on-site parking. There is 1 person looking at this hotel. 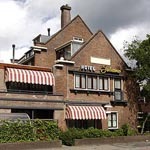 Hotel De Oostpoort is located in a modern building in the centre of Delft, a 5-minute drive from the A13. Bieslandse Heerlijkheid offers bed-and-breakfast room with free Wi-Fi and countryside views in a peaceful setting just 5 minutes? drive from Delft. There is 1 person looking at this hotel. Recreatiecentrum Delftse Hout has a very spacious set up. The campground is 5,5 hectare big and the camping pitches measure 80 to 100 square meter. The campsite has 160 tourist pitches for tents and caravans, including 40 comfort pitches with connections for water and sewage. Especially for campers there are 30 camper pitches available. All pitches are equipped with electricity and cable TV. Scattered over the campsite is a variety of rental accommodations. There are 3 persons Grass Huts, 4 persons Camping Cottages, 4 persons Naturhomes and 5 persons Chalets, the 4 persons luxurious chalet. Really special is our Grass bungalow, a luxurious and ecological bungalow for 5 persons. New in 2011 are the Veranda Chalet, and the unique Wooden Iglo.